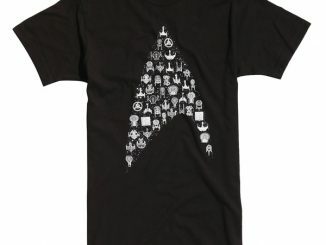 I hope that your office has causal Friday’s this summer; if it does, we have the perfect t-shirt for all the Star Trek lovers out there. 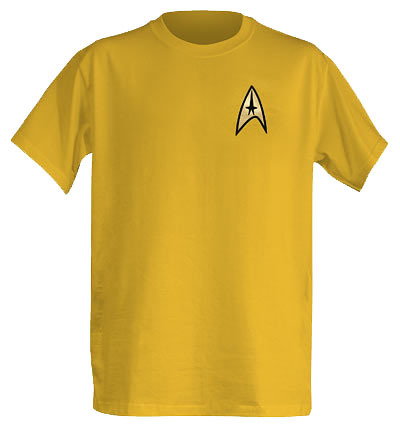 The Officially Licensed Star Trek Original Series T-Shirts come in yellow, red, blue and green. 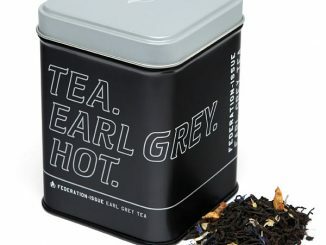 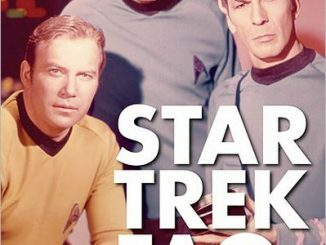 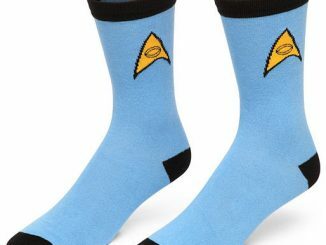 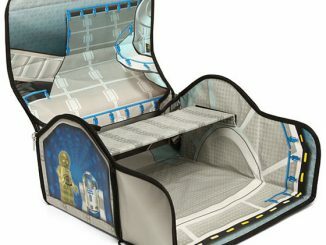 Now you can show you love for James T. Kirk, Spock, Sulu, Bones, Uhura or even Scotty. 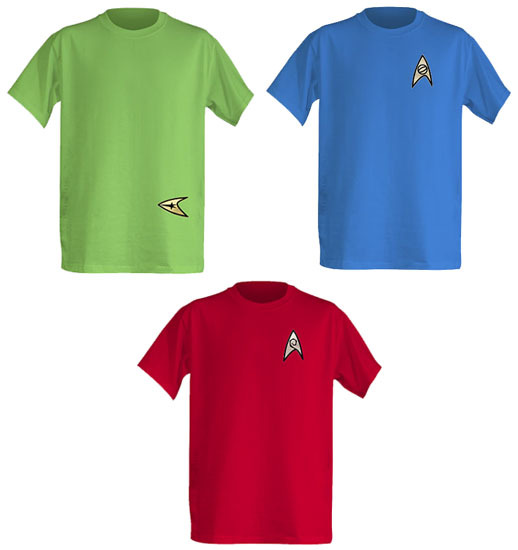 These t-shirts are 100% preshrunk cotton and come with the official “flex and flock” insignia on the chest, except for the captain’s green shirt that has it on the lower hip. 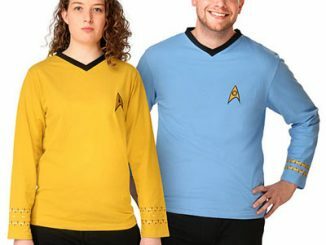 Show you true colors and choose the Star Trek shirt that represents your dream position. 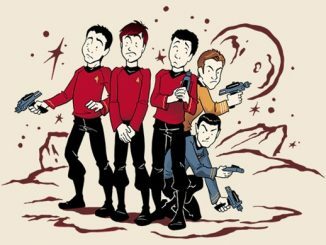 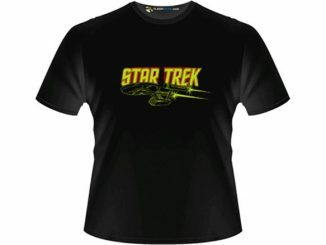 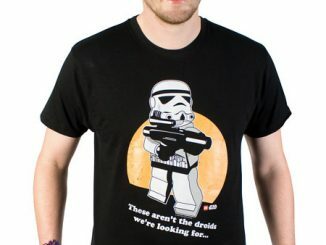 You can purchase the Officially Licensed Star Trek Original Series T-Shirts at ThinkGeek from $24.99. 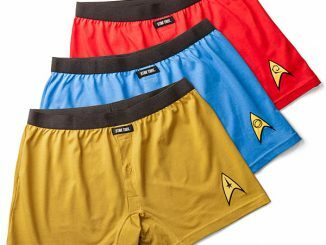 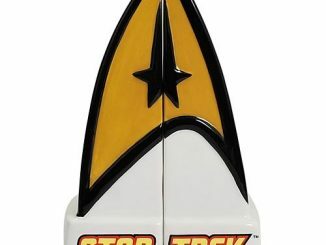 For some more neat Star Trek stuff, checkout the Flashing Star Trek T-Shirts and Star Trek Bathrobes. 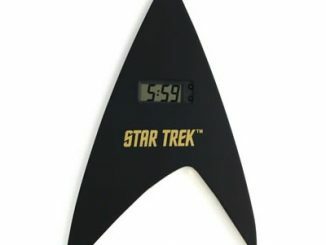 What’s the discount if I order 20 or more?